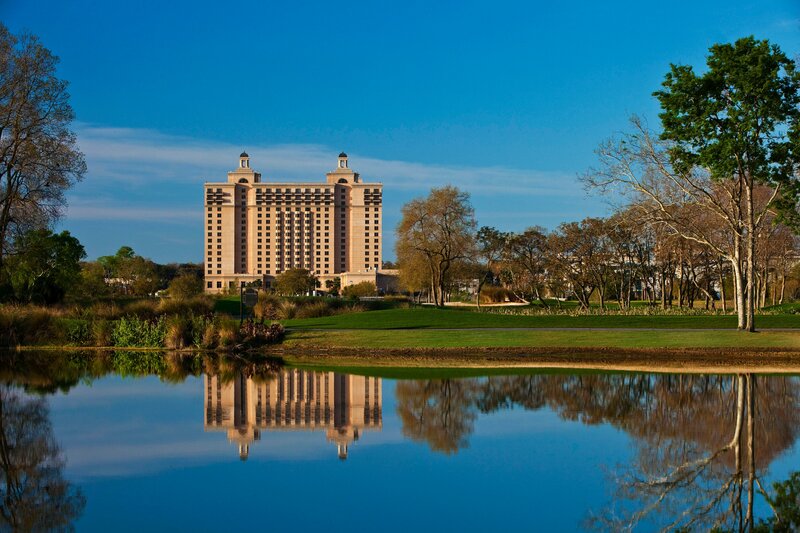 Located in the Savannah River District, among the beautiful marshlands and wild coasts of the Georgia Lowcountry, The Westin Savannah Harbor Golf Resort & Spa is a luxurious riverside oasis. 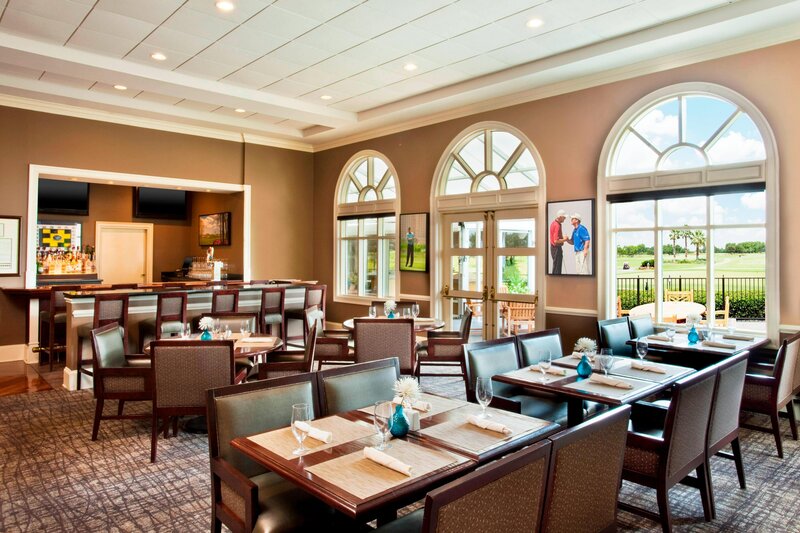 Our hotel has been completely renovated and includes the lavish Heavenly Spa by Westin™, comprehensive business services, Har-Tru tennis courts, a 600-foot deep marina and the area&apos;s only PGA championship golf course. 403 newly renovated guest rooms and suites are furnished with modern, comfortable amenities, from 55-inch LCD Smart TVs to high-speed internet access, multimedia connectivity centers and our Westin Heavenly® Bed and Heavenly® Bath. Outstanding resort dining options include a waterfront grill, a stylish southern restaurant and a sleek lounge. Our versatile venues are perfect for elegant weddings, important business meetings and everything in between. Savannah&apos;s renowned shopping, nightlife, restaurants and more are moments away via the free water ferry departing regularly from our tranquil island respite. 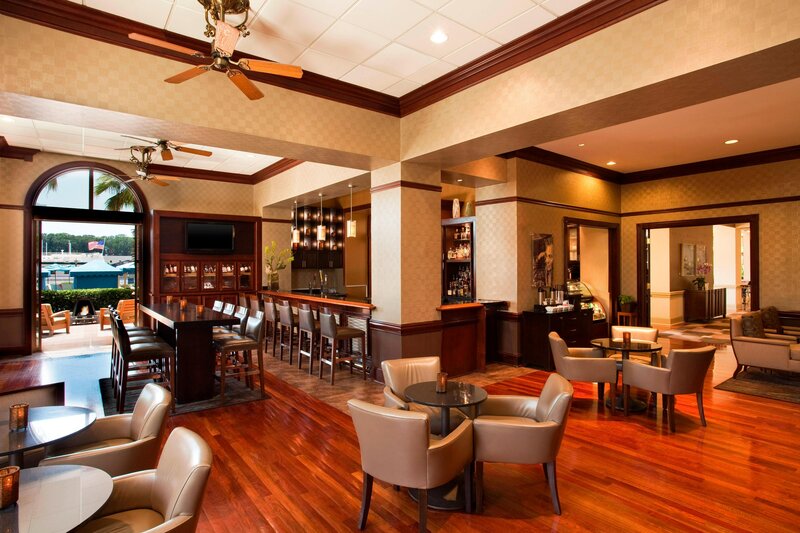 Benefit from the innovative meeting amenities available at The Westin Savannah Harbor Golf Resort & Spa. Our hotel encompasses state-of-the-art conference rooms and event spaces. For those larger groups, we are adjacent to the Savannah Harbor Conference Center and the Savannah International Trade & Convention Center. Inspire success in our state-of-the-art conference rooms and event spaces, just a short walk from the Savannah Convention Center. 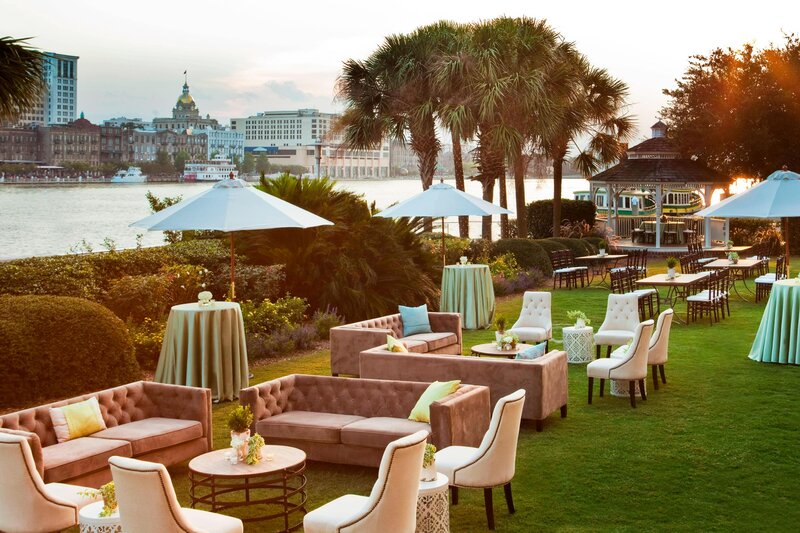 A distinguished destination for wedding receptions, our hotel offers unprecedented views of the water and downtown Savannah; spectacular venues include several ballrooms, a rolling outdoor lawn and a picturesque gazebo. 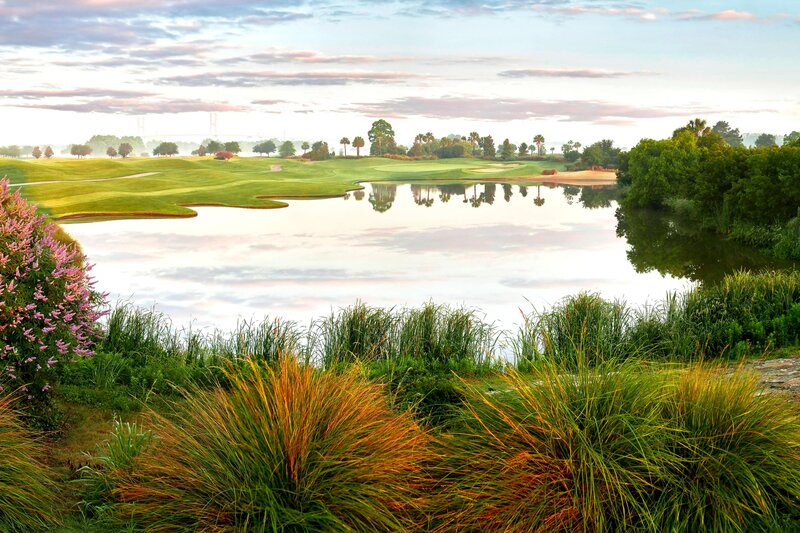 The Club at Savannah Harbor&apos;s Troon-managed 18-hole golf course encompasses 7,288 yards, beautifully designed and well-suited to golfers of all levels of ability. Our golf course was designed by famed architect Robert Cupp and “Slammin” Sam Snead; it is managed by Troon Golf, the leader in upscale golf management. Improve your golf game with the help of the PGA Professionals and the Andrew Rice golf school at The Club at Savannah Harbor. Schedule a lesson or a swing assessment, and work with our Titleist Performance Institute trainer to determine a personalized fitness routine. Named a "Top Resort Spa" by Conde Nast Traveler Magazine, Heavenly Spa by Westin™ offers luxury massages, holistic HydraFacials and aromatherapy body wraps — performed by licensed therapists in a serene environment. Dine inside, poolside or by the golf course in our five hotel restaurants and bars, which offer casually elegant cuisine and refreshing beverages. 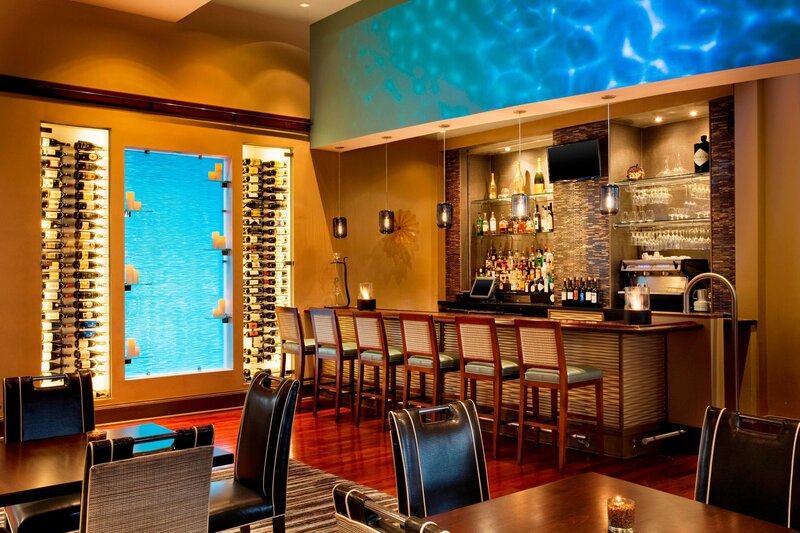 Lowcountry delicacies, craft cocktails and other specialties await in our resort&apos;s five dining and beverage outlets. Join us in Aqua Star for our Sunday Jazz Brunch. An escape when you want it; accessibility when you need it. Our hotel places Savannah&apos;s most iconic attractions within your reach, while also offering a sense of tranquility that feels a world away from the energy of the city. 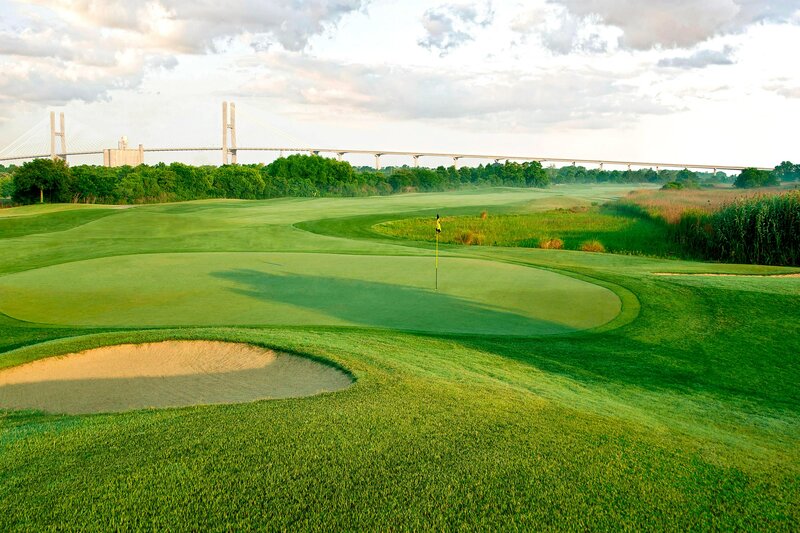 Perched on the banks of the Savannah River, less than two minutes from the Historic District via ferry, The Westin Savannah Harbor Golf Resort & Spa offers travelers an elevated escape in Georgia&apos;s oldest city. 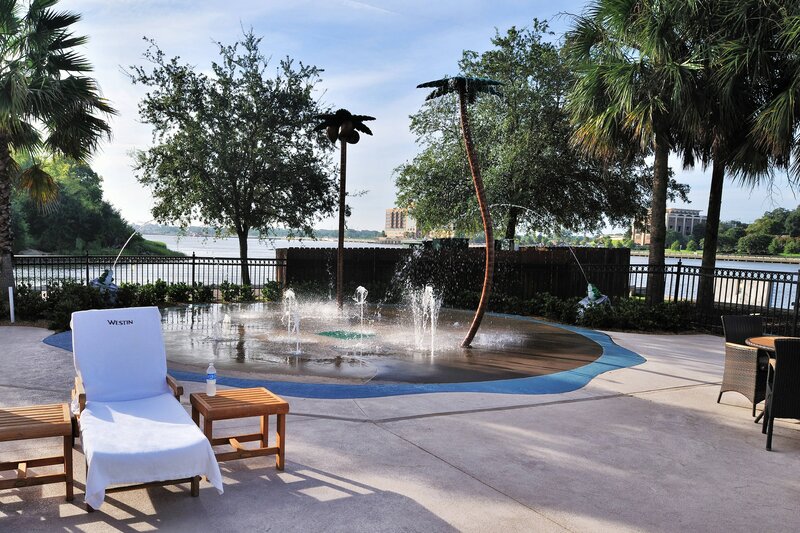 Our resort has collaborated with an array of local Savannah businesses to offer you a selection of compelling activities unique to the city. Unlock these local experiences during your hotel visit.